Get educated! Bryan College Station is so much more than just a college town. Don’t get us wrong, our beloved, top-ranked university is the heartbeat of our city, helping lead the nation in higher education enrollment and contributing to the burgeoning economy we have today. We’re proud to be a college town; Texas A&M University is a huge part of our foundation. It’s also a huge reason why we have become MORE than just a city with a major university. If you haven’t heard, Bryan College Station is an excellent location for corporate groups, associations, SMERFs and every group in between. Learn why this ‘college-meets-conferences’ town should be your next meeting destination. You can reap the benefits of the Preferred Access Agreement. Our destination is home to one of the five largest public universities in the nation which means that Texas A&M’s state-of-the-art facilities double as excellent meeting spaces for your group. 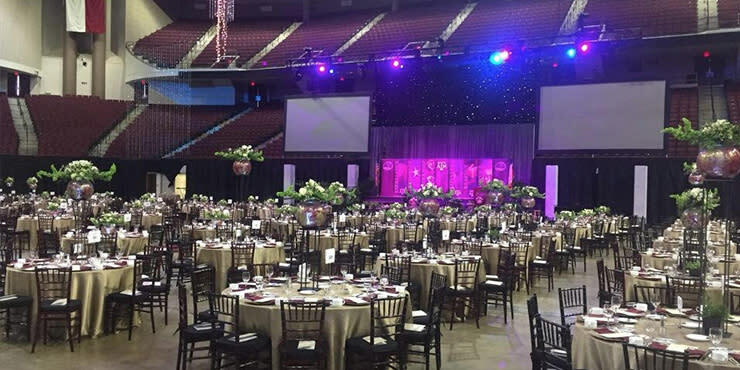 Through Experience Bryan College Station and Texas A&M, you can qualify for the Preferred Access Agreement, reducing rental costs for facilities like Reed Arena, Rudder Theatre Complex and new entertainment facilities at Kyle Field when you book through the Experience BCS team. You can find 2nd tier offerings in a cost-effective destination. You can find 2nd tier offerings like newly developed full-service hotels and retail districts, a convenient regional airport, world-class industries and economic growth, all in an affordable and community-rich destination built on traditions and heritage. With a metro population of over 200,000, Bryan College Station has undergone new community development to keep up with the growing economy. You can enjoy upscale dining … not a student cafeteria in sight. A handcrafted cocktail and a cozy tufted couch seem to be a match made in heaven, don’t they? At Herschel&apos;s located in The Stella, attendees can unwind in a fashionable atmosphere while they savor small batch bourbons, specialty cocktails, wines, choice brews and shareable bites. 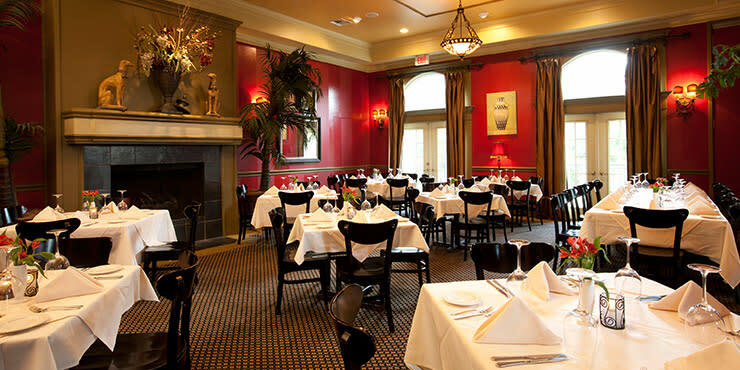 At Christopher&apos;s World Grille, your group can enjoy gourmet dining including fine wines and exotic main courses. The restaurant can also be reserved as an event space as well, accommodating up to 200 attendees, equipped with A/V capabilities. You can choose between historically distinctive and newly developed spaces. Meet in a mansion, a historical landmark theater or a cool art gallery. 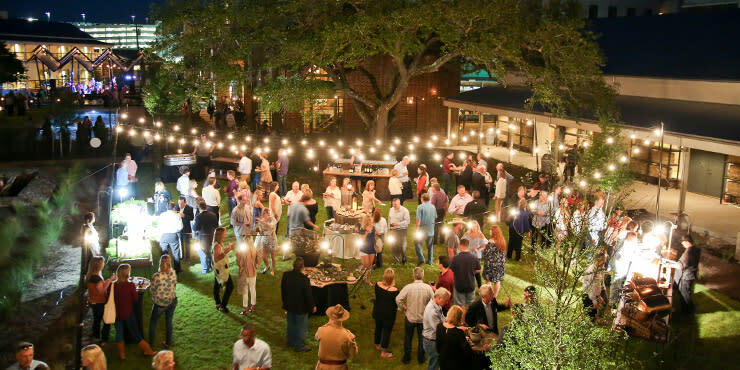 If your groups are looking for newer venues, plan for a meeting in Cavalry Court’s Stables or a starlit reception on the Parade Green. The George, one of the city’s newest boutique hotels has four event spaces: The Statesman spaces and The Library—all adding ‘The’ right balance of rusticity and elegance to your meeting. Read something you liked? Reach out to our team to get a little more information about Bryan College Station for your next meeting.